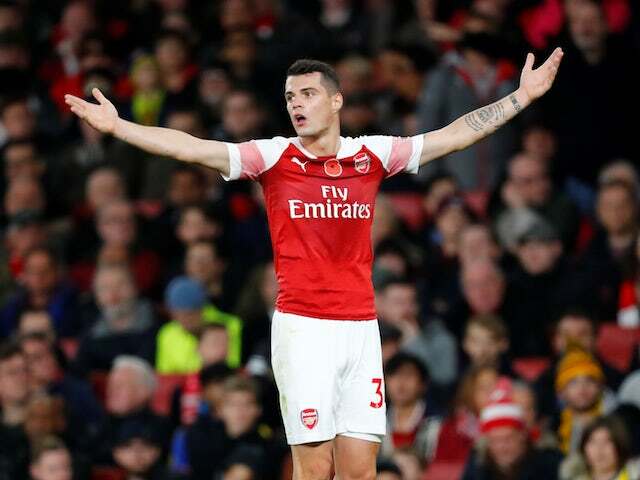 Home / sports news / Granit Xhaka hints He could leave Arfsenal in the summer , admits he wants to take "next step"
Arsenal midfielder Granit Xhaka has dropped a strong hint that he could look to leave the club this summer by claiming that he is ready for the "next step" in his career. Xhaka has emerged as a key member of Unai Emery's first-choice XI so far this season, missing just five Premier League games throughout the campaign. The 26-year-old has regularly been criticised during his time in the Premier League, but his form in the Arsenal midfield this term has earned praise. However, the Switzerland international has outlined his ambition while Arsenal are in a battle to finish in the top four, and suggested that he would be willing to leave the Emirates Stadium to match his targets. "I'm very ambitious, I want to take the next step, Arsenal does not have to be the last stop," he told Tagblatt.